After 20 years of controversy, it’s time to admit that state officials have failed at managing privatization within Mount Sunapee State Park. But thanks to a proposed sale to Vail Resorts, we have a rare opportunity to reset the lease terms, restore the public trust, and protect our treasured state park as the Legislature always intended. Two decades of conflict over the Sunapee lease is the price we’ve all paid for the rushed and shallow policymaking process that unfolded in 1997-98. Some believe that chaos was purposeful, engineered by pro-leasing state officials who used vagary, duplicity, and selective understanding of the law to make the ski areas more attractive to private investors. Revisiting this history clarifies again why we need a dramatic do-over this summer. The Legislature enabled privatization in 1997. 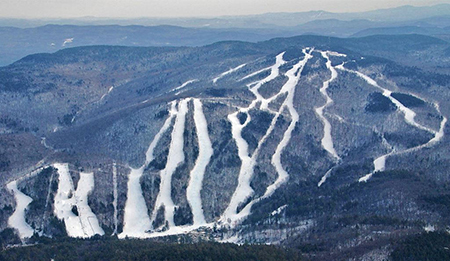 House Bill 628 directed Department of Resources and Economic Development Commissioner Robb Thomson to solicit bids from private operators to run the state-owned ski areas at Sunapee and Cannon. But according to both the bill’s language and sponsor testimony, HB 628 also explicitly limited their potential opportunity to improved skiing and recreation within the state parks. These limits were not accidental, but rather a deliberate response to thoughtful public input. Many testified that without careful controls, unfettered privatization would encourage slopeside sprawl on private land abutting the parks, just as it had done in Vermont and elsewhere. That Thomson chose to ignore the Legislature’s clear intent is no surprise, given the hazy public circus he presided over that spring. With local opposition growing daily, two of five Executive Councilors resolutely turned against privatization, in large part because of the potential for real estate development ringing the parks. Thomson attempted to soothe their concerns via the press. “There has been talk of people putting condos up there,” the Union Leader quotes him in March. “That’s not going to happen,” he pledged, knowing full well that his proposed lease was silent on the issue. Nobody outside of Concord believed them. But when the lease came before Governor Shaheen and the Executive Council for final approval on June 10, she and three Councilors voted for it anyway. The resulting 20 years have proven a long, strange trip, unfolding exactly as many predicted: Okemo slyly purchased 600 acres for slopeside real estate in Goshen; DRED obsequiously promoted the expansion; Gov. John Lynch courageously blocked the deal for almost a decade, triggering bullying, expensive lawsuits by Mueller; the NH Supreme Court identified gross incompetence on the part of Thomson, the AG’s office and career state park officials in how they handled aspects of the pre-leasing process; a 2015 Superior Court judge ordered the reformation of the lease boundary; and most recently, a cynical flip-flop by Governor Hassan and a 2-1 Executive Council vote approving the very type of development that HB 628’s sponsors explicitly promised would not happen- and which state parks were expressly created to prevent, not catalyze. These hard decades exposed many flaws in our institutions, our bureaucrats, and even a few of our governors. But Vail’s openness to renegotiating the Sunapee lease provides an opportunity to heal the “original sin” of Thomson’s deception, and to right many of the wrongs the Legislature clearly intended to prevent. Here’s the case for optimism. Attorney General Gordon Macdonald has shown a refreshing and consistent commitment to the public trust. Together with the newly reformed Department of Natural and Cultural Resources, Macdonald is requiring a renegotiation of some aspects of the Sunapee lease before approving its transfer. Vail’s purchase of the entire Mueller empire (including Okemo and Crested Butte) is effectively on hold until New Hampshire is convinced that Vail is a good partner. Now’s the time to craft a new lease agreement. One that upholds the Legislature’s original intent to prevent slopeside, cross-border sprawl. One that guarantees meaningful oversight by elected officials, not state employees. One that weighs the protection of treasured cultural, historical, ecological and recreational assets over any single private interest or use. And yet one that offers Vail a sustainable opportunity to profit by improving skiing and recreation inside the park- and not condos outside of it. 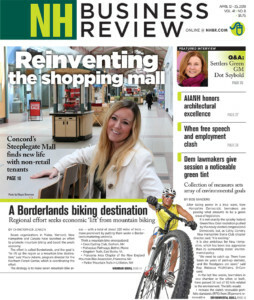 There are reasons to think that Vail might work well with New Hampshire. First, as a public company listed on the NY Stock Exchange, its behavior is highly regulated by security law and influenced by investors who value transparency, truth telling, and lawfulness. Vail’s lawyers understand the high bar placed on most public leaseholds, after reviewing dozens of lease agreements with the federal government. Expect Vail to be a far more rational, dispassionate, professional and truthful state partner. Second, Vail may already understand the natural and market-driven limitations on skiing at Mount Sunapee. If development on the west-facing side of Mount Sunapee made business sense, Mueller would have secured required zoning changes and permits before selling out. With interest rates at historic lows and New England’s ex-urban professionals thriving economically, Mueller’s inaction since early 2016 suggests that western expansion at Sunapee might be more challenging and less profitable than first assumed- even before climate change devours winter from both ends. With decades of experience and the smartest analysts in the ski business, Vail likely factors Sunapee as a very small part of its long-term, national big picture. Third, there’s opportunity for Vail in a broad renegotiation. In exchange, New Hampshire could reduce annual lease fees and extend the lease term. After 20 years of splashy spending, $18 million in investment, and a small debt balance remaining, we can afford to stop sending Sunapee lease payments to fund Cannon. Reducing Vail’s fees in exchange for a better, more protective lease that stops any real estate-driven expansion is a good bargain – and the one the Legislature always intended. Finally, selling all its newly acquired developable land in Goshen for conservation would generate enormous goodwill locally – assuming an ironclad protective easement takes future development off the table forever. Citizens have an opportunity to explore these ideas at a public hearing on July 25. It may be 20 years too late, but better late than never for our mountain park’s bright public future. Tom Elliott, a resident of Durham and a native of Newport, is a leading opponent to the expansion and privatization of Mount Sunapee State Park.